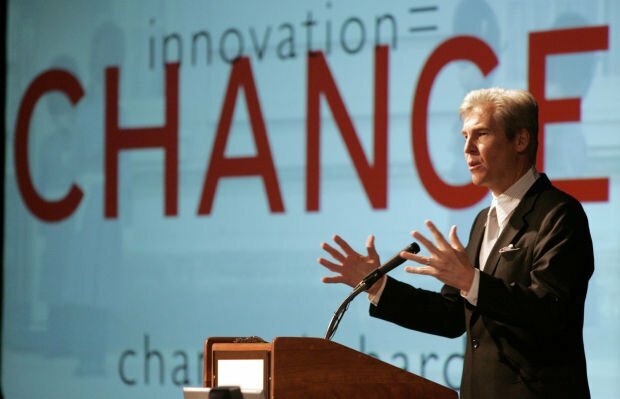 Terry Lundgren, then president and CEO of Federated Department Stores, spoke in 2006 at the Global Retailing Conference in this file photo. UA's Global Retailing Conference to explore what's 'in"
“What’s in — trends that are remolding an industry that is increasingly challenged to be intimate, innovational and instant” — is the theme of the 20th annual Global Retailing Conference. Sponsored annually by the Terry J. Lundgren Center for Retailing at the University of Arizona, the 2016 conference will be held April 14-15 at Loews Ventana Canyon Resort. Terry J. Lundgren, chairman and CEO, Macy’s, Inc.
Stacey Bendet, CEO and creative director, Alice + Olivia. Christiana Shi, president of direct to consumer, NIKE, Inc.
Richard M. Ashworth, president, pharmacy and retail operations, Walgreen Co.
Carlos Alberini, chairman and CEO, Lucky Brand. Tony Bartel, chief operating officer, GameStop Corp.
Rachel Mushahwar, head of global retail, hospitality and consumer packaged goods enabling team for Internet of Things, Intel. Michael J. Massey, president and CEO, PetSmart. Melissa Phillips, president and COO, Tuesday Morning. Stephen Craig, chief executive officer, Blanco. Sarah Quinlan, senior vice president, market insights, MasterCard Advisors. Jane Buckingham, founder and CEO, Trendera. Piers Fawkes, founder and president, PSFK. Deborah Weinswig, executive director, Fung Business Intelligence Centre. 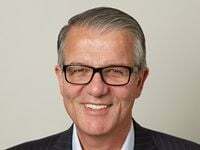 Beck Besecker, co-founder and CEO, Marxent. “New ideas are driving business today, and the Global Retailing Conference (GRC) is one of the primary places where the freshest concepts in retailing, wholesaling and fashion are presented and discussed,” Lundgren was quoted in a UA news release. “The University of Arizona, one of retailing’s top training grounds for upcoming talent, is a great environment to discuss what’s in and what is coming,” added Lundgren, who attended UA. Details are posted at www.globalretailingconference.org. Registrations (priced from $400 to $695) for a limited number of attendees are being accepted. This year's UA theme: How to be "Everywhere at Once" for customers.